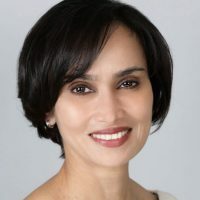 Anusha is a nationally board certified nurse practitioner with 15 years’ experience in anti-aging aesthetics and three decades in the field of medicine. A graduate of UCLA and UC Irvine, she brings a results-oriented approach to her practice. Her patients appreciate her strong grounding in science, her aesthetic artistry, and her warm and compassionate personal style. Specializing in the non-surgical “BEAUTIPHICATION” method of assessment and treatment developed by Montreal surgeon Arthur Swift, MD, Anusha designs a precise, highly individual plan for each patient, using injection treatments to restore symmetry and balance. Born in Sri Lanka, Anusha spent her teenage years in Zimbabwe and Hong Kong before moving to Los Angeles. She worked in emergency medicine for 18 years at multiple Los Angeles hospitals. She has a deep commitment to global public health, taking a year off to volunteer in Zimbabwe and co-founding the non-profit Global Health Access Program to help ease the refugee health crisis on the Thailand-Burma border. It was there she met Southern California surgeon Richard Hahn, MD, who encouraged and mentored her in cosmetic dermatology. Facial aesthetics quickly became an area of fascination for Anusha, and she founded Skin Specifics in 2003, opening a second location in 2006. Specializing in the latest injectable treatments and methods, she brings a global perspective to aesthetics, and trains with top dermatologists, plastic surgeons and injection specialists in California, Europe and Asia. Anusha is also the creator of a line of custom-formulated skin care products, available at our two Skin Specifics locations. Beyond her clinical expertise, Anusha loves the artistry of aesthetics and helping her patients discover how to enhance and restore their unique beauty. Anusha is a global traveler and committed to a healthy, fit lifestyle. She loves to explore the outdoors, gardening, hiking, camping and rock climbing with her family and their Aussiedoodle, Luna. 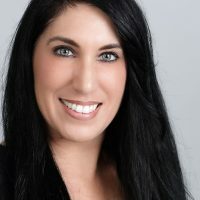 Theresa brings years of experience working with clients providing on-site support, answering medical procedure questions, and booking appointments for our clients.